Back in July, I received a box of LEADERS InSolution's Hydrogel Eye Therapy Patch, along with some other goodies (Next entry! :D). Thanks Joyce for the lovely parcel! Our eye areas/ eye bags are probably the toughest part of our face to tackle. The skin there is sensitive and ugh! So. Friggin'. Dark. And as we pile on all our other skin care products, which require us to avoid our eye areas,our eye bags get seemingly darker and more pronounced. Darkness aside, we are also besieged with problems like dryness and lines. Thankfully, there are a plethora of eye creams and serums out there. But just like the rest of our skin, every once in a while, we need a little more pampering than what creams and serums can provide. We need a little perk-me-up session... And here's where LEADERS InSolution jumps in like Superman with the Hydrogel Eye Therapy Patch! Broccoli Extract: Brightens skin tone. Berry Complex: A source of antioxidants. Marine Collagen: Enhances skin elasticity. Snail Mucus: Moisturizes the skin. Green Tea Extract: Calms the skin. The patches are free from parabens, preservatives, pigments and colourants. 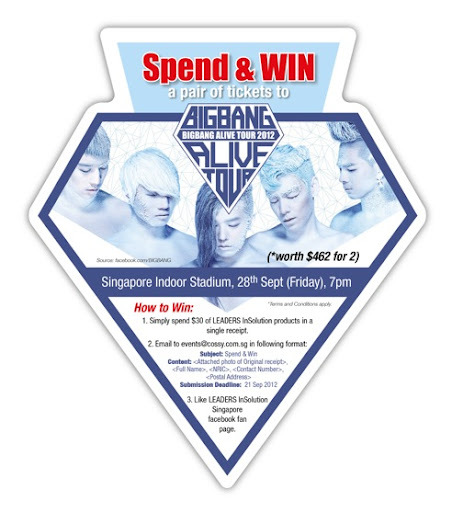 And here's how the patch looks like, along with the set of instructions on how to use it! 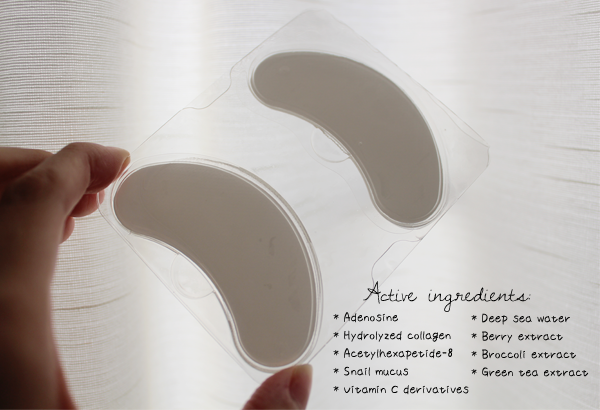 The patches are made of this gel-like, flexible texture and it is because of this that the patches adhere to the contours of the bone structure under our eyes and to our skin easily. There is no chance for air bubbles to happen at all. 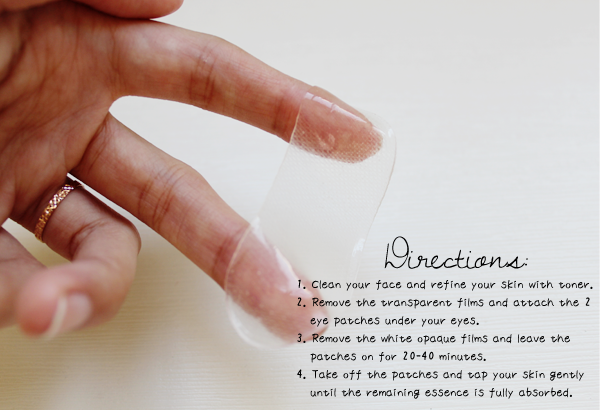 When they are placed under your eyes, there is this really relaxing and cooling effect. I just want to lie down and go to slumber land! The patches are also adequately soaked in the essence; there was no dripping of the essence when I had them on. After using a box of the Hydrogel Eye Therapy Patch, I found that the lines under my eyes, especially my right, are not as obvious as before. They are still there but seem less deep. The skin under my eyes is definitely more hydrated. However, I didn't notice any brightening effect. Then again, brightening of any part of your skin does require a rather long period of time for it to be visible so I probably need a few more boxes of this. P.P.S. 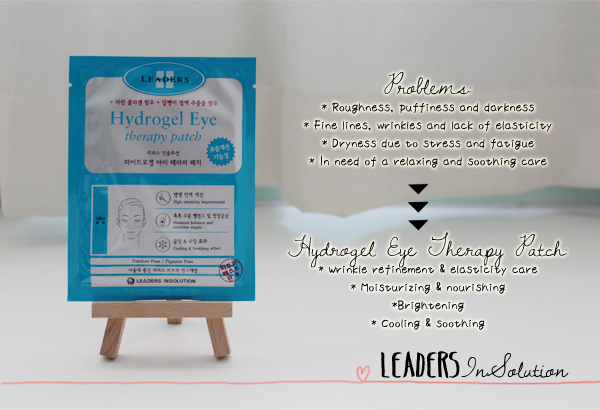 : LEADERS' InSolution's Hydrogel Eye Therapy Patch was one of Vanity Trove's September offerings!